Assistance at your arrival to Lima International Airport and transfer to your Hotel. 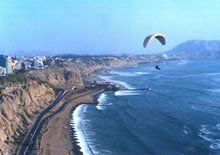 There you will receive a briefing on your tour; receive vouchers covering all the services included in your tour and additional information on the organization of your Peru trip. Transfer to Lima Airport for flight to Puerto Maldonado. Upon your arrival in Puerto Maldonado, Peru’s Capital City of Biodiversity, we will welcome you at the airport. Then, we’ll start our program with a visit around the city, on a bus. Afterwards, we will go to Puerto Capitanía, to board a motorized riverboat, and we’ll navigate on the Madre de Dios River. During the journey, we will submerge into a fascinating natural environment, if we are lucky we will witness Ronsocos, Caimans, Turtles, Herons, Cormorants and other animal species in their natural environment. Arriving at the Ecoamazonia Lodge, we will enjoy an exquisite welcome drink, we’ll get settled in our bungalows and will have lunch together. After lunch you will be conducted by our specialized tour guide through an interpretive trail conveniently signposted to the Caimán Cocha, a small lake with an abundant presence of specimens of Black Caiman (Melanosuchus Niger) and Caiman (Caiman Crocodilus). Meals Included: Breakfast at hotel, lunch and dinner at the Lodge. After breakfast, we will start an adventure in the virgin rainforest, and accompanied by a local guide, we’ll go on a hike in the deep jungle, to get to the Lost Cocha which constitutes a refuge and feeding ecosystem for a huge variety of animals. There, we’ll have the chance to observe Otters, Caimans, Turtles, Sachavacas (Tapirs) Birds with multicolored feathers, the majestic Jaguar and a variety of fish species. This area is unique and proper to the Ecoamazonia’s Ecological Reserve which maintains it intact, with huge swamps and diverse “aguajales”. Then, we’ll get to the extraordinary Observation Deck, from which we’ll be able to appreciate the immense and magical rainforest. Afterwards, we’ll have a pleasant canoe ride around the lake and will return to the lodge for lunch. Finally, we’ll complete our visit of the island, enjoying the sunset, with the most impressive dusk in the jungle. Back to the lodge we conclude the day with a pleasant dinner. Meals Included: Breakfast, lunch and dinner at the Lodge. Transfer to the airport to board the flight to Cusco. Meals Included: Breakfast at Lodge. Breakfast at the hotel. Early in the morning our guided visit to the Sacred Valley will take place. We will start the tour departing through the fertile countryside, arriving to the colonial town of Pisac, where a colorful market will welcome us, continuing our route through the valley, passing by typical town, till getting to the archaeological province of Urubamba to try a delicious lunch buffet. After we will visit an ancient but enigmatic Ollantaytambo Fortress located in a typical Inca town, composed by numerous temples and terraces. This archaeological complex is one of the biggest monumental exposures that the Inca have ever done. Overnight in the Sacred Valley. Lodging at the hotel. The day starts with an early morning rise to transfer to Ollantaytambo train station for a 90-minute train journey to the famous Inca Citadel of Machu Picchu, also known as “The Lost City of the Incas”. 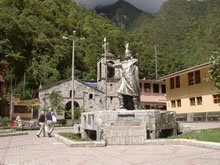 Arrive at Aguas Calientes station followed by a 30-minute bus drive, climbing 6km of winding road, to the incredible Machu Picchu. 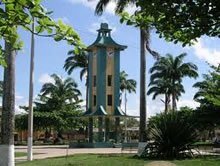 Upon arrival, we’ll participate in a guided tour of the Citadel, visiting the Main Plaza, the Circular Tower, the Sacred Sun Dial, the Royal Quarters, the Temple of the Three Windows and various burial grounds. After the tour you will have time to stroll around the archaeological site at your leisure. Leisurely breakfast. Excellent opportunity to wake up early and enjoy with a beautiful sunrise as well as stroll by the Town of Aguas Calientes. 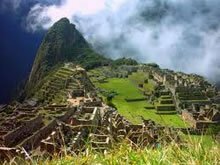 Then, you will have time to perform some of the following activities: (not included in the overall tour price) : Visit the Hot Springs Thermal or visit the Citadel of Machu Picchu for the second time. For the most adventurous people, we suggest to go up the Huayna Picchu (if it is not raining) from where you can appreciate the immensity of Machu Picchu, even more amazing being high and distant. Arriving at the top takes about two hours and a half and it must be before 13:00 hours. It is necessary to register in a office at the beginning of the trail. 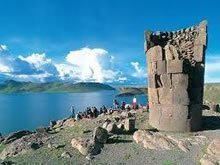 An exciting adventure for the travellers who want to see, from the top, the nature and the carved stone emerging from the ground as a geological miracle. Return to Cusco by train. Transfer to selected hotel. Breakfast at the hotel. Transfer to the bus station to board the tourist bus with destiny to the city of Puno. In route we will acknowledge sites as the Saint Peter Church of Andahuaylillas, also known as the sixteenth chapel of the Americas; following, is the archaeological centre of Raqchi, an impressive building made for the Wiracocha God , subsequent to this, toward the path to Puno city we reach the town of Sicuani, where lunch will be served. Following, the Raya a town which becomes the highest point of the route (4335 m.a.s.l) stopping here for about 10 minutes to take some pictures. Continuing our journey to the last stop, is the town of Pukara where we will have a guided tour for the onsite museum where a display of archaeological findings of Andean cultures of high plateau are found, and non stopping afterward to our final destiny: the city of Puno. Arrival and transfer to the hotel. Overnight at hotel. Breakfast at the hotel. At coordinated time our journey will begin with a guided excursion through the highest lake in the world: The Titicaca” (3810 m.a.s.l) located in the high plateau, the visit to the Uros Island, will be realized in boats, meeting ethnic families found on the islands from the Aymara culture, living in floating islands built with totora canes. Continuing our route, we head to the island of Taquile (4040 m.a.s.l) where we will discover one of the most beautiful Andean places to be found, where time doesn’t seem to pass by, with abundant hills and archaeological remains, the textillery is the main activity and the elaborated clothing are done with high knit quality techniques, showing designs of the dairy living. Lunch included. In the afternoon return to the city of Puno. Overnight at hotel. Breakfast at the hotel. At coordinated time transfer to the airport from the city of Juliaca, to board the flight back to Lima. Price subject to change based on in country airfare changes and availability.